It is a secret to virtually no one around here that I love coconut. The coconut is a gift that just doesn’t stop giving. Coconut oil, coconut milk, coconut cream, coconut water, coconut nectar, coconut sugar, the list goes on and on. I happen to also love the meat of the coconut. The Coconut Macaroon is the Pièce de résistance for Coconut lovers, so naturally on my list of favorites. 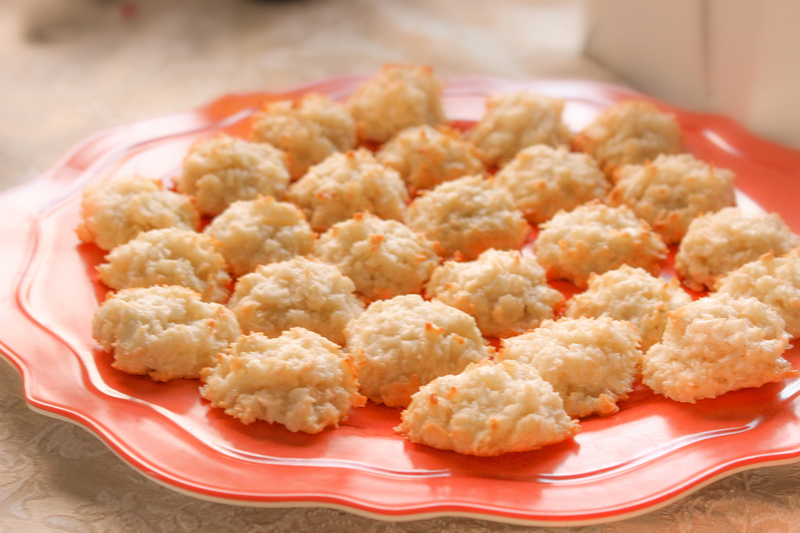 Always a delicious treat, the Coconut Macaroon is really so very simple to make! 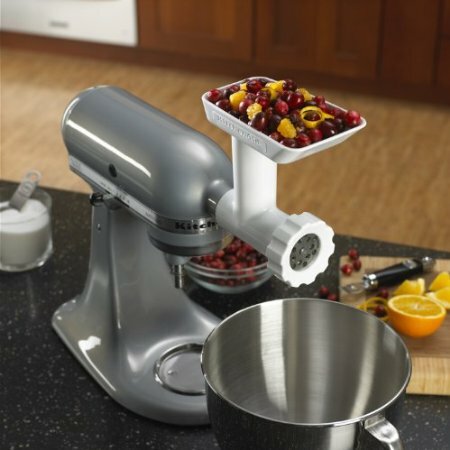 These show stoppers look like they were purchased at a bakery and are easily made in your kitchen with very little prep. 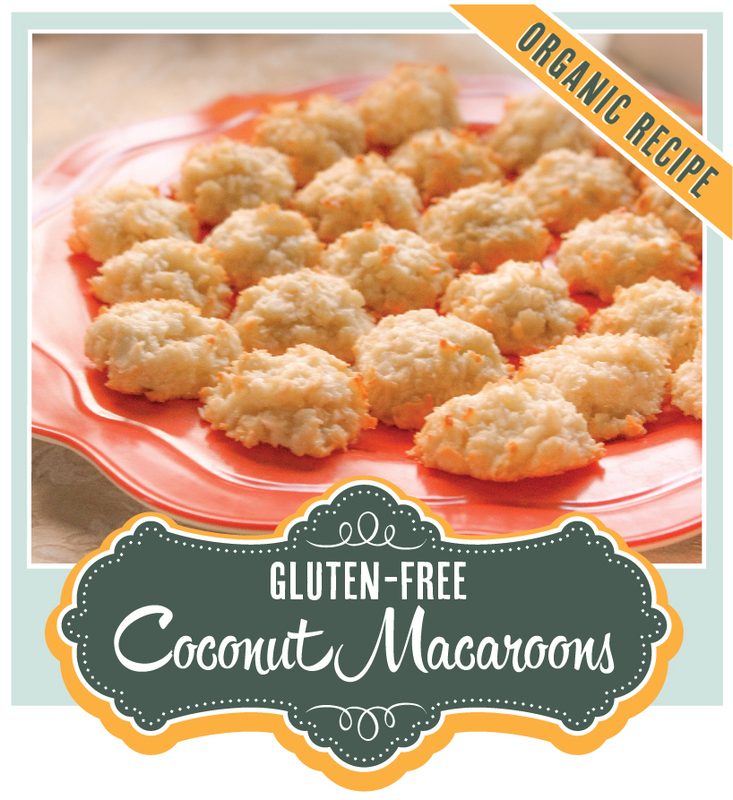 I have tried a few coconut macaroon recipes and settled on this formula after some experimentation. I will say that the Almond extract adds a lot to this recipe. I have tried it without, as I am not typically an almond flavoring fan, but in this recipe it is a definite must. If you do not have Coconut Flour you can omit. I have included it to give a little more structure, but many recipes do not include any flour at all and seem to turn out just fine. I like the hint of honey in this recipe, but this could be substituted for sugar or Raw Coconut Nectar, if you happen to keep this awesome product in your pantry. These delicious macaroons are slightly crisp on the outside, with a soft coconut interior. Gluten-free recipe. Pour shredded coconut in a large bowl and set aside. In a skillet over medium heat, combine coconut sugar, honey, and salt. Stir constantly until the begin to lightly caramelize. Remove from heat. Add vanilla and almond extracts to the sugar mix and blend. Pour sugar mixture over the coconut, combine with fork. In a small bowl, vigorously whisk egg whites until they froth up slightly. Pour over the coconut and using a fork combine until an even, crumbly mix. Using a small round scoop, form 1-1.5" balls. I like to use a melon baller for this. 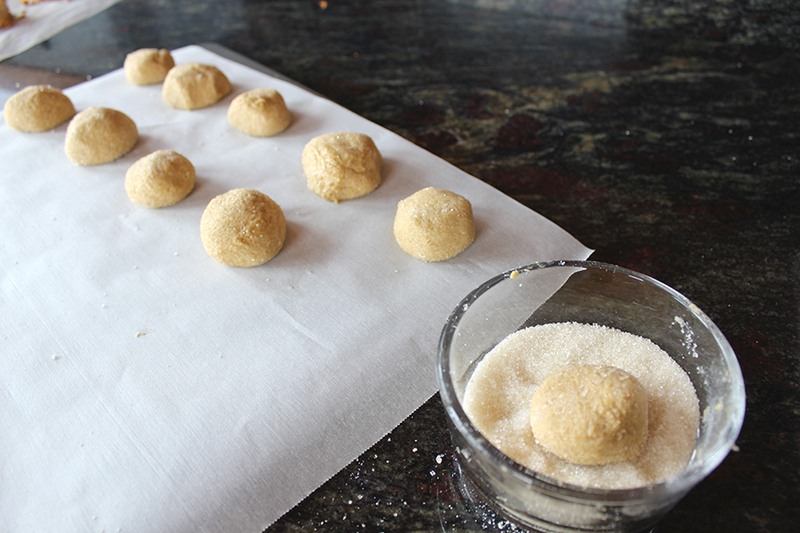 Place balls on a parchment covered cookie sheet. Bake at 350 degrees for 18-20 minutes or until lightly golden brown.